Wind indicators – New color! 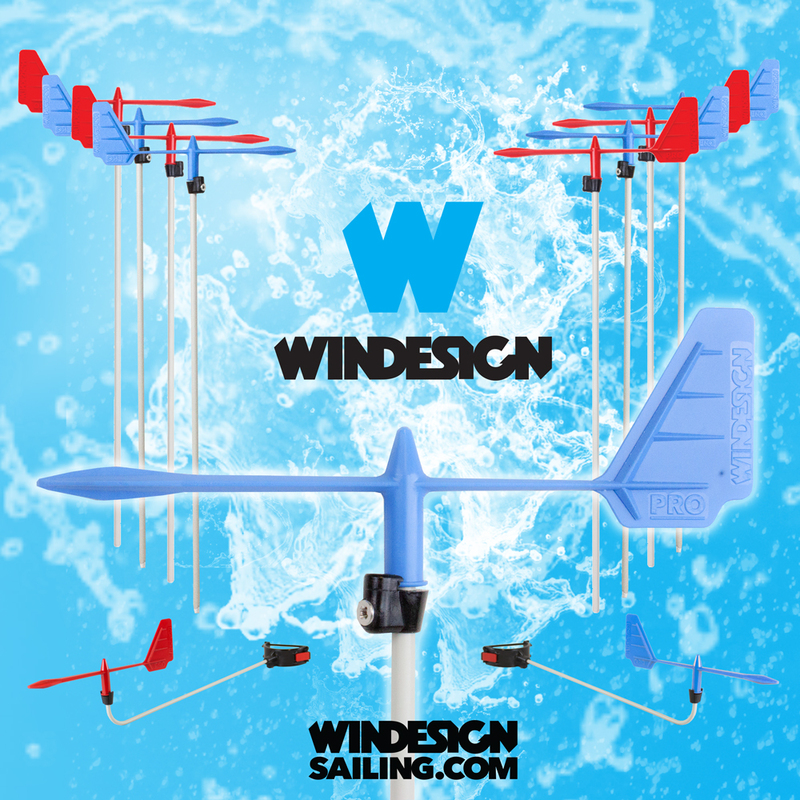 We are happy to annouce that we have expanded our Windesign wind indicator collection with a blue colored version. Now available, the new EX1243BL Windesign PRO wind indicator blue and the EX2021BL Windesign MK2 PRO wind indicator blue. For every dinghy sailor its own type and color! 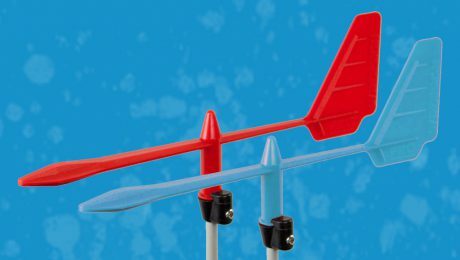 This wind indicator has a strong vane arm which is accurately balanced and performs amazing sensitive. The needle can be easily fitted into your Optimist top pins or spring clip. Ideal to be used as Optimist wind indicator. Now available in red and blue. The MK2 PRO wind indicator has the same characteristics as the above PRO wind indicator; it’s strong, accurately balanced and performs amazing sensitive. The MK2 version has an easy to use locking system to fit around your dinghy mast. Now available in red and blue. 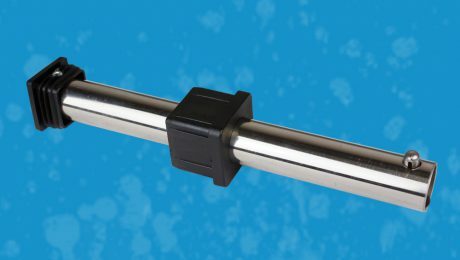 From now we provide all our trolleys with the EX10797 – Stainless steel 25 mm axles. These are much more durable than the aluminium axles which we have used before. These axles have extremely good wear resistance characteristics against sand and salt. The new axles come with new stainless steel locking pins. A much more durable one-piece constructed 8 mm pin. Please note that the old alumimium / stainless steel pins and axles have a pin and hole diameter of 5 mm. You will need to drill the hole up to 8 mm in case you would like to replace the locking pin only. The solid rubber wheels now come in completely black color (before red) to provide better UV protection. These wheels have a diameter of 28 cm, are 10 cm wide, do not float and you will never have a flat tyre again. The EX1075 Optimist trolleys are supplied with these wheels and can also be used on all other Optiparts trolleys. EX1076B – Trolley with belt and large Optiflex-lite wheels – NEW! A new trolley in our collection! Same design as our regular aluminium trolley, now available with belt. Your Optimist slides easy from the belt when launching. Also available with black solid rubber wheels (EX1075B). Schools and Clubs – Sailing Tips! The season has started for schools and clubs. All schools, clubs and sailors are well prepared, but there is always something to improve. At Optiparts we have several useful products which will make the season even better. From boat parts and accessories to playing cards for using ashore. Find below some useful products. Enjoy sailing this summer! Take care of your hull! It’s easy to damage the bow of your Optimist. Especially polyester Optimists are vulnerable and need immediate attention in case of damage. By protecting the bow you will have way less repair work during the season. The EX1065 – Optimist Bow Bumper has a snug fit around the bow of the Optimist. In addition to the bow bumper we advise to add the EX1066 – Optimist Corner Protectors. These heavy duty rubber corner protectors for the Optimist have self adhesive backing and can be used on bow only and on all 4 corners. It’s very important to have a floating painter line in each boat and have some spare ones as well. The EX1374 – Optimist floating painter is 8,1 meter long and has a diameter of 6mm, with UV treatment. A mainsheet has to be comfortable and durable. 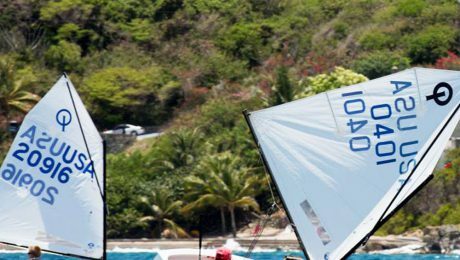 The affordable EX1377 – Optimist Mainsheet has a length of 6 meter and is ideal for 1:3 mainsheet systems. This 8mm 16 plait polypropylene sheet is comfortable for all sailors. Sailing is all about having fun. Optiparts created an easy to handle sail which is half the size of a normal Optimist sail. With the EX1064 – Optimist Trisail now even the smallest helmsman can continue sailing in heavy wind. And have you seen our EX1061WR – Sleeve sail with reef eye? Find out more! Keep your lunch and valuables safe and dry in your own boat or in the coach boat. With a hole in the lid to secure in the boat with a line. Our lunch containers are available in two sizes: EX3048 – 3 liter, 17 cm high and EX3049 – 6 liter, 26 cm high. 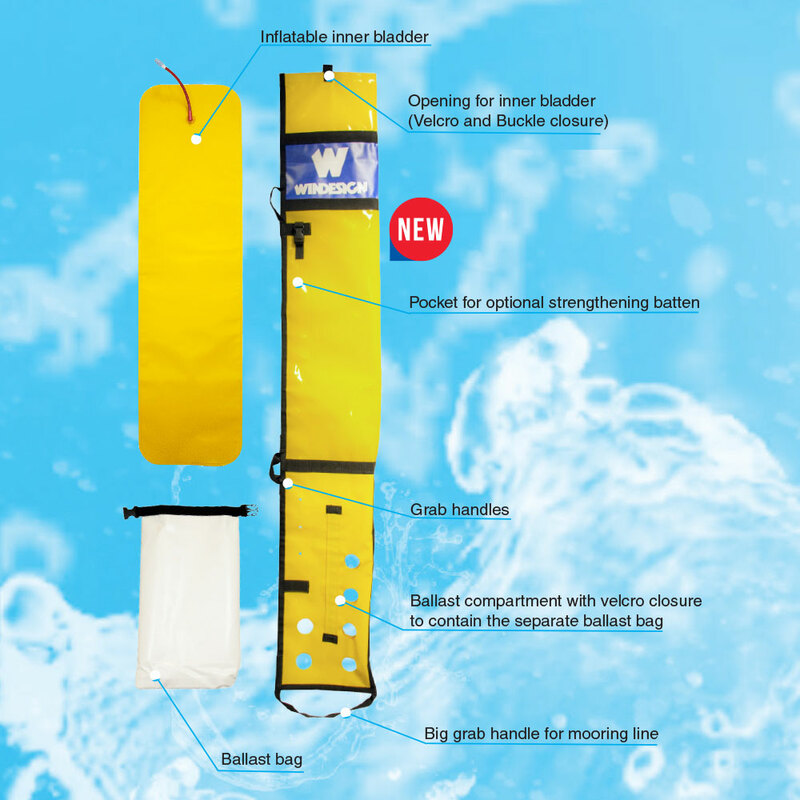 Do you prefer using a dry bag? Check out our waterproof sailing bags! An educational game for sailors of all ages. The EX1436 – Optimist Happy Family card game consists of Optimist parts and facts about sailing. The game has 55 playing cards grouped in 13 families of 4, a rule card and 2 extra cards. Are you the one who knows the most facts? Training and Regatta mark – Visible and durable! 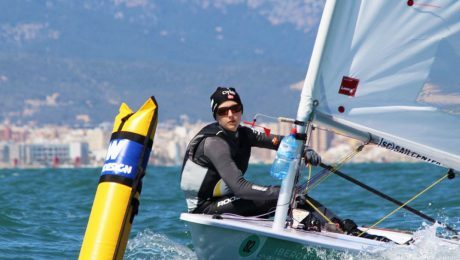 We designed a highly visible yellow sailing buoy that can be easily used as training mark, by coaches or sailing schools, or as regatta mark during races. This highly visible yellow training mark is designed to last long. The mark consists of 3 separate parts: a solid outer, an inflatable inner bladder and a ballast bag. The mark can be used anchored or as drifting mark. At the bottom you will find a big grab handle where you can easily fasten the mooring line. The outer is made of thick 0.9 mm heavy duty fabric. On the top of the solid outer you will find an opening to insert the inflatable bladder. The opening has a velcro/buckle closure. On the side of the outer you will find two grab handles to make it easy to carry and to reposition the mark. The inflatable bladder is made of polyurethane coated nylon and has a twist lock tube valve for quick inflation and deflation. The mark has an internal ballast compartment to contain the separate ballast bag. The ballast compartment can be accessed through a velcro closure. The ballast bag has an easy to use lock buckle and can be filled with chain or stones. This training mark features a pocket for an optional strengthening batten (not included). With these specifications we made a sailing buoy that can be easily used as training mark, by coaches or sailing schools, or as regatta mark during races. Windesign Suggestion Set – Trapeze Sailors!